The following biographies, recent photos and contact information belong to the the members of 1st Platoon "G" Company, 2nd Battalion, 6th Marine Regiment of the 2nd Marine Division's Fleet Marine Force at Camp Lejeune, North Carolina taking part in the U.S. Navy's Solant Amity I Cruise to South America and Africa, from November 1960 through April of 1961. Mouse click on the member's name to see their biography. 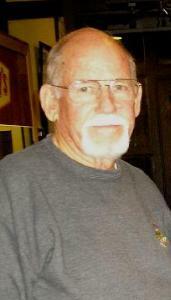 Jack O. Baker Born 1937 and raised in Monroe, NC; Jack entered the Marine Corps in 1954 and, after Parris Island and ITR, was first assigned just outside of Arlington at Henderson Hall...to a lengthy "tour" of mess duty and such.
" Quickly disenchanted, I sought and received a transfer in January '55 to the 6th Marines and duty of a type young marines aspire to...my first cruise to the Mediterranean Sea. In '56, I was reassigned to Sanford, FL and security duty on a Naval Air Station. Then, in '58, I returned to Lejeune and the 6th Marine Regiment where I would remain, lastly with the 1st Platoon of G-2-6, until 1962 and nearly one year after the Solant Amity cruise to the Caribbean, the second of two oceans, the British West Indies, the Canary Islands, South America, Africa and Europe. In February of that year, I began a stint at Parris Island as a Sergeant (E5) Junior DI and Troop Handler of a kind we all met, when stepping off that first train or bus into the hands of someone wearing a "Smoky the Bear" hat. Then in '64 through '67, I was dispatched to three years as a recruiter in Fort Lauderdale "by the sea," Florida. Someone HAD to do it. It was during this assignment that I met and married my wife, now deceased, in 1965. "In '67 through March of '68, I served with the 1st Marine Air Wing in Vietnam after which I spent two years in Iceland's Naval Air Station Marine Barracks and then, in 1970, I returned to Camp Lejeune, serving with the Base Operations. Command in the Career Planning section. Promoted that year to Gunnery Sergeant I was assigned to the University of Mississippi as an Administrative Assistant within the ROTC Program. "In 1973, after being promoted to 1st Sergeant (E8) and attending the training program for same, I was transferred and served 13 months in Okinawa. In '74, I was once again transferred, this time to the USMCR Unit at Willow Grove Naval Air Station, near Philadelphia from which I retired as a Sergeant Major in 1978. "With a family, including two teenagers...a son born in '66 and a daughter in '68...I'd not be spending any time "just sittin' around." I began a career in the insurance sales industry, first in life insurance. Later, and after acquiring an Associate Degree in Business, I spent twenty-seven years specializing in casualty insurance. Following the death of my wife,after nearly fifty years, in March of 2014, I sold the business and moved onto a long deserved retirement here in Hubert, NC. "And now, from out the blue, I come to learn that an association of Marines that took part in the 1960-61 Marine Corps Expeditionary effort in the Congo has been around since 2001 and been looking for us all! And that I might yet again get to meet , greet and reminisce with two cohorts of the time, Paul Malone and Ed Hart! Life and its unexpected pleasures are something to marvel at. "Anyone wishing to reach out can drop me an mail: jbaker4@ec.rr.com. I look forward to hearing from you. "Semper fi to you all; Jack"
Jose P. Balboza: Born 1941 and entering USMC in April 1959, graduated with Platoon 220-59 and, after infantry training at Camp Geiger, was assigned to the 2nd Battalion of the 6th Marines at Camp Lejeune, NC. It was late September 2004 that we reached Jose. He has since chosen to maintain his privacy. Should you, as a former member of G-2-6 only, have an interest in contacting him, please send any inquiries to former 1st Platton member Bob Chichester, who will forward your request to him. 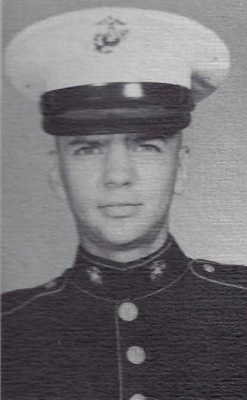 Robert H. Chichester Born 1941 and raised in Brooklyn, New York and attending Boys High School I grabbed four "glorious" years in the Marine Corps beginning in April of 1959. Graduating with Parris Island Platoon 220-59 in early July of that same year, the lot of us were sent to the Infantry Training Regiment at Camp Geiger for a month. Thereafter, I was assigned for the next two-and-one-half years to "G" Company, 2nd Battalion of the 6th Marines for the duration of something called "controlled input." After a bit of leave, the next fifteen months were spent in learning our trade as infantrymen in the fields of Lejeune, aboard ships and the hills, tent city and brush of Viegues, Puerto Rico. By then I was a Lance Corporal and continued on with "G" Company as we prepared for and boarded the USS Graham County for the six month affair called the "Solant Amity I" goodwill cruise to Africa...by way of Viegues, Trinidad, Tenerife in the Canary Islands and Recife, Brazil. All of which made for one really great "by way of," don't you think? After the goodwill cruise, we returned to the states and did our stateside and still more shipboard stuff until I left 2/6 for the 2nd Tank Battalion, where I remained until leaving the Corps as a Corporal in April of 1963. I married Carol in June of that year and we remain so to this date, our lives enriched by three children. Beginning a career in New York's garment industry, first as a production manager, I finished my career as a partner, sold my interest and went to work in the auto industry as the finance officer for a Chevy dealership. Finally, I packed it all in and retired in 2005. It is sometimes hard to grasp that it has been 51 years years since I made the move to join the United States Marine Corps but I've NEVER regretted it. To this day I believe the four years spent on active duty were the most interesting, exciting and memory accumulating time of my life. In evidence of that still strong connection, only this past weekend did three of the only known remnants of the first platoon...Stanley Morris, Otis Jones and Jose Balboza...and myself, with our wives, share a late-into-the-night barbecue on Long Island, New York. It made for one hell of a reunion!!! Edward Hart: Born in 1934, I'd been part of USMC for about eight years before the SolantAmity "excursion." Joining the Corps in 1951 at 17, I did a stint in Korea beginning in '53. By 1959, I'd accumulated a few more assignments before becoming one of the original input members of G-2-6. I was a Corporal in the 1st Platoon at the time. And, I recall that, when the company was divided up and temporarily separated from the USS Graham County, my squad went aboard the Vogelgesang and remained there throughout the Santa Maria incident. After Solant and leaving the 6th Marines, I found myself with the same Pathfinder unit that had been aboard the Hermitage. Great guys, all. Then, in '65, I left the States for Vietnam and assignment with the 9th Marines and remained there for most of the balance of my career. I did four tours in Nam, returning to CONUS in '69 and retired as a Staff Sergeant at the San Diego, Amphibious Base in 1972. Thereafter, I went to college, got a degree and performed all manner of meaningless jobs. One child and a marriage later, I sailed to Hawaii and worked for five years with the Post Office, when I finally deciding that life is too short for one to accept only the tedious. After owning, some more ocean sailing, and the selling of a few more boats, I returned to the mainland, bought Hooligan and sailed around the globe. When I received an email from George Bitsoli, he sent me to the Solant Amity web page. And, "WOW!," was it ever so great reliving the past for a while. Those were great days. Like many others, I always said I would return to Cape Town, South Africa one day. Well, in 1995, as part of that three-and-a-half year sojourn around the world, I did return. And, man-o-man how things have changed. About the only thing the same is Table Mountain. 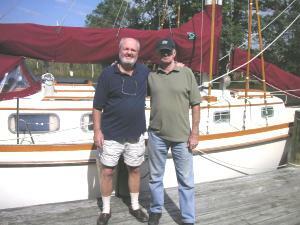 Ed, after 52 days at sea. I'm now divide my living between Rock Hall, Maryland, where I listen to Ron Smith on WBAL all the time, and northern Florida. That is when I'm not sailing out of either and/or preparing for another trip somewhere along the eastern seaboard or offcoast. Reach out and contact me at hooliganx6@me.com . To read published articles about Ed Hart's solo-circumnavigation on a 29 foot sailboat, see the following: 1) Around the World; 2) One storm, two muggings, a collision and circumnavigation. And, for no particlular reason, I thought I'd let you know he loves his "Wawa Coffee." 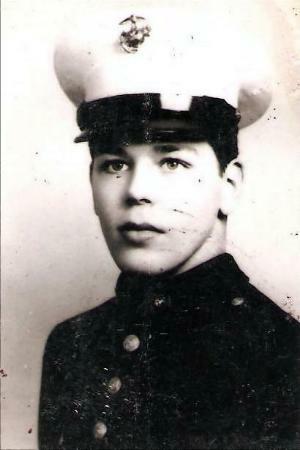 Frank H. Haussmann : Born 1942, raised in Philadelphia I joined the Marine Corps in March 1959, reported to Parris Island for abuse, became ill and found myself spending an extra two weeks there graduating with Platoon 113-59. Off to Camp Geiger's Infantry Training Regiment I then went for a month, followed by assignment to F-2-6, a few weeks of leave and, upon my return to Lejeune, began what was to be numerous and protracted assignments aboard troop ships and Isle de Viegues, PR the Marine Corps' caribbean "vacation" offering for would be "grunts." Toward the tail end of fifteen months of this sort of thing I was reassigned to "G"Company where I spent the balance of my required 30 months of the "controlled input" program. The six month SoLant Amity episode was the longest and most pleasurable of the many shipboard experiences provided me while in the infantry. And, within it, Recife and Cape Town stand out as the more memorable of the many ports we visited. At the end of the weariness otherwise associated with non-combat Marine infantry duty, I was first assigned to 2nd Hospital Company at Lejeune and my MOS changed to that of Ambulance Driver! With MOS attached I was then reassigned to MP duty at an almost home away from home...Viegues!!! There, I and all stood "our posts in a military manner, keeping always on the alert" until each working day's end when I would scoot into town for some much deserved liberty and a night's sleep in my own apartment. Thereafter and briefly, via a series of administrative screw ups, I was first reassigned to Lejeune then returned to the Camp Garcia's MP detachment then again reassigned stateside and ushered out the door with an additional 20 days salary for unused vacation leave. Oh yaaa, flush was I with an extra $90 bucks...approximate worth of those 20 days...in my pocket! Married in 1964, Margie and I remain so. We have one daughter and two grand-children. In 1992, I retired after thirty years of semi-tractor-trailer driving of rigs up to 45', retrained for lock-smithing and now provide commercial on-call lock-smithing service. It's been a long ride, these 53 years since the beginning of my four year gig in the Marine Corps. Four years? Damn, doesn't sound like much time now, does it? And now, if I can learn to get a around a computer keyboard and screen, I'll be able recapture some of those experinces...just in time for Christmas. Semper fi to all. Drop me an email at bordercollie25@aol.com. Otis M. Jones : Born in 1939 and raised on Staten Island, also known as Richmond County and one of New York City's five boroughs, I graduated Port Richmond High School and attended Wagner College for a year before entering the Marine Corps in July of 1958. Like yourselves, I was then sent to Camp Geiger's Infantry Training Regiment for a month and "forwarded," like so much mail, to my first unit assignment at Camp Lejeune: "F" Company, 3rd battalion of the 2nd Marines. After a year of real life infantry experience - shy of combat, a Med Cruise and still more training, I was reassigned to "G" Company, 2nd Battalion, 6th Marines. I remained there for most of remaining enlistment and was "early released" in March of 1962 and began the next phase of my life. I worked, first, at Manufacturers Hanover Trust until October of 1963 when I: (a) was married and ( b) became a member of the NYPD. First assigned to the 103rd Precinct in Queens, in 1966 I was promoted to Detective 3rd and over the next 13 years served in vice, narcotics, robbery, homicide and had two separate stints with the Major Crime Task Force before retiring, with a vested interest pension, in 1979. In 1983, after 20 years of a successful marriage and two wonderful children, my wife died. In 1987, I again married. Jacqueline and I remain so to this day, with the additional benefit to myself of having a step child. while serving with the NYPD, I returned to college and graduated from John Jay College in 1976 with a Baccalaureate degree in history, under the G.I. bill...one of the greater benefits of having served in the miltary at the time. After retirement, I first worked for Blue Cross/Blue Shield as a medical fraud investigator in Michigan. In returning to the New York region and after obtaining the additional training and education to be certified as such, I worked as an asset manager for a land development company until 1995. At that point, because of my accumulated experiences and background, I was appointed Deputy Commissioner of New York State's Division of Housing and Community Renewal where I remained until retiring for the "last time" in 2002. Jacqueline and I now live in Sarasota, Florida. It has been something of great surprise to learn that so many Marines from the "yesteryear" days of G-2-6 remain in contact with one another. Stranger still is the fact that only days before [5Sep10 ] providing this biography for the Solant I website Bob Chichester, Stanley Morris, Jose Balboza and I gathered together for a barbeque on Long Island where, late into the night, we swapped tales of shared experiences that went WAY BACK into the last century. Those four, personally formative, years in the Corps were a blessing. And those six months on Solant? Well, anyone who was there knows what it meant to Marine and sailor alike. And I'm glad to be still be "aboard" with so many of shipmates. Drop me an email at ojones726@comcast.net . Until then, Semper fi from Sarasota. 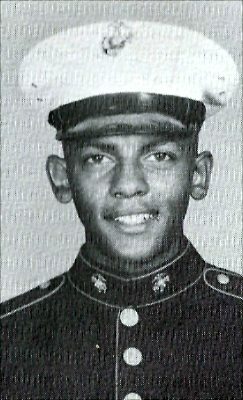 J. E. Kendrick III [NOW DECEASED] The former 1st Platoon member and graduate of Parris Island Platoon 220-59 died while still on extended active duty on New Year’s Eve of ‘63/’64. According to Bob Chichester, who remained tight with him and other members of the 1st Platoon, he had been hitch-hiking between Quantico and Washington, DC when he was struck by a “hit-and-run” driver. K. R. Maloney [NOW DECEASED] Was the 1st Lieutenant Commander of the 1st Platoon. And, according to a conversation had with retired Major Skipper, "G" Companys former Commander, Mr. Maloney died in Rye, New York shortly after leaving the Marine Corps in the 1960’s. Particulars are being sought. 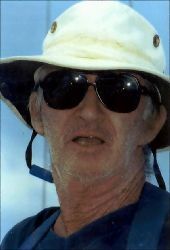 Harold A. Moore [NOW DECEASED] Was a former member of the 1st Platoon and after leaving the Corps had become a police officer in Boston and was a member of it SWAT Team. According to Trevor Davies and Don Carter, both of whom are from the Boston area and members of the the 3rd Platoon, Harold Moore died of cancer. Stanley M. Morris Born and raised in Manhattan in the vicinity of Lexington and 102nd Street, my family moved to the Bronx where I attended and graduated high school only weeks before leaving for Parris Island boot camp in 1958. After three months with Platoon 311, adding an inch-and-a-half to my height, and a one month stint with the Infantry Training Regiment at Camp Geiger, I was transferred to Lejeune's 2nd Marine Regiment. In February '59 I took part in my first Med Cruise on the APA 44, the USS Fremont. I can still remember "landing" on France's public beaches at a time when public opinion of Americans still reflected a memory of our nation's efforts in WWII. Clearly, our "warrior" faces and the firing of blanks didn't for a minute interfere with our gathering of offered phone numbers from a bevy of bikini clad bathers, all of whom seemed to look like Yvette Mimieux. Not long after my return from the Med, a great many of us were transferred to the 6th Marine Regiment. I went to "G" Company of the 2nd Battalion and remained there until the completion of a 30 month stint as part of the controlled input system. Ever the infantrymen, I was then sent back to the 8th Marines and still one more Med Cruise before returning to the states with but sixteen (!!!) days remaining on my four year enlistment. Fifteen of those days being spent on guard duty. I was given but one day to take care of the "sign out" before "exiting stage left" and returning to New York in 1962. Taking my time about jumping back into America's civilian work force, I finally took what I believed would be a seasonal job opportunity with Sears and wound up staying with it for 30 years! At one point I went back to a private school, under the G.I. Bill, and obtained credentials in Traffic Management, which deals with business related logistical supply and not what you might think: Vehicle Routing. I would ultimately become what Sear's labeled a Category Manager overseeing five departments. So, in 1992, I proceeded to Pergament Home Center where I remained until they closed down their operations and I jumped, once again, this time to Ikea until retiring...fulltime and finally. I married Judith in 1965 and we remain so to this day. We have two daughters, both of whom are business women. 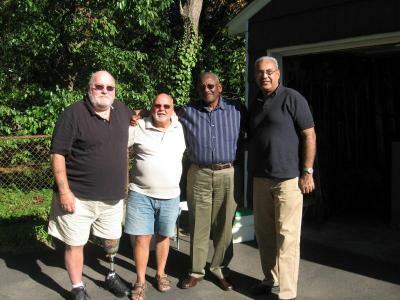 Only recently [9/5/10] Chichester, Jones, Balboza and had a full day barbeque at my place on Long Island. I'd hoped to have Albie Sears there but that didn't work out. Perhaps the next time we'll see Albie and Ed Hart, YOU and still more over hamburgers. Drop me an email at smm5321@optonline.net . Semper Fi! Albert A. Sears : Born in Brooklyn, New York in 1939 and raised in Massepequa, Long Island I entered the Marine Corps in April of '59 and graduated Parris Island with Platoon 220, did 30 days of mess duty at Geiger...feeding summer reservists...then received the required month of infantry training and was then sent to "E" Company, 2nd Battalion , 6th Marines at Camp Lejeune. After finishing a near 15 month stint of controlled input, I volunteered for "G" Company for what has become recognized as the greatest of all known "cruises:"SoLant Amity. Leaving G-2-6, I spent my remaining months in the Marine Corps with Lejeune's Combat Engineer's 2nd Bridge Battalion. Returning to New York I reestablished a trucking career I'd started before entering the Corps [ at 20 years of age] and by 1957 was well established and delivering sand, gravel and concrete for construction projects throughout the Long Island region. I continued to do so until 1972 when I opted for a one year sabbatical from all labor. Packing an MG with camping equipment I drove and camped throughout the nation with it for nine months until, for security reasons, "stepping up" to a Nomad truck camper...with which I hauled the MG...for another two months. By '73, and in Savanna, I was back in harness and for seven years humped not yet world recognized hazardous materials like sulfuric acid and anhydrous ammonia. The sort of things the vapors of which melt your lungs. By 1980 I'd opted for something a bit less dramatic and hauled furnishings for Pier One to all points north to Portland, Maine for four years when I began to haul phenolic resins used in adhesives for Georgia Pacific. By 1988, I'd wearied of the long haul life-style, returned to New York and started hauling diesel fuel locally and more recently preparing to change to the transport of large propane storage tanks. With all of this moving and "rollin-rollin'-rollin" about, I managed to marry, have two wonderful children, divorce and settle down for the past twenty years with Lei-lani [ which means Heavenly Flower ]. I had been living in a 107 year old historical monument, of sorts, in Amityville [ home of the Amityville horror] on Long Island. The Marine Corps, Solant Amity, the many and incredible stories of those years have never really been to far from my thoughts. AND, I can't tell you how often I've spoken of those six months of ocean sailing, the people, places and varied adventures encountered all at government expense. Contact at this time would be "iffy"as I'm amidst another move, the result of the nor'easter, Sandy, that struck Long Island. 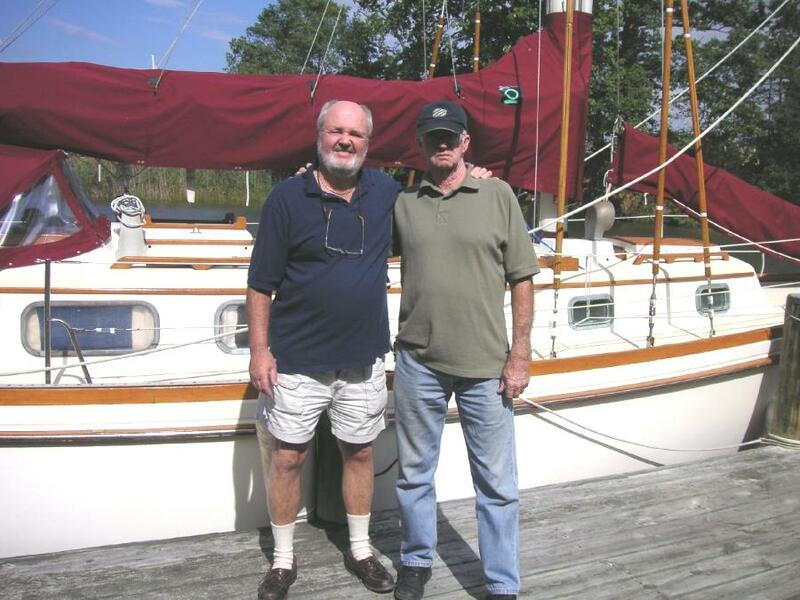 Semper fi to you all; "Albie"
On 28 September 2005, Ed Shea met with the "Resident Sailboat Expert" and G-2-6's only solo-circumnavigator Ed Hart in Annapolis to check out a sailboat Shea was thinking of buying at the time. He didn't buy the boat but had a great time talking about the advantages of Solant Amity!!! 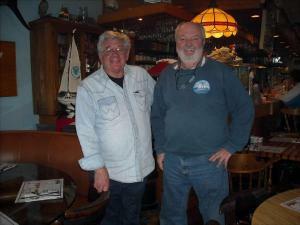 On 5 December 2008, Albee Sears and Ed Shea met for lunch and four hours rehashing history in a Northport, NY diner and again on 1 September 2009 when they sailed roundtrip from Northport, NY to Connecticut. It was thus that Ed was twice convinced that Al could fill a two pound bag with five pounds of story. He's had one hell of a life. Bob Chichester, Stan Morris, Otis Jones and Jose Balboza and their wives gathered for the first time ...since 1962...on Long Island, New York on 5 September 2010 for a barbeque. How damn cool was that? Sunday, November 2nd, 2014. The 4th Anniversary of our first reunion of 2010. On this occasion only three of our number Morris, (myself (center), Jose Balboza) met in New York. With Otis being in Florida, I'll visit him this winter. I have a place near him. Happy Holidays to ALL members of the Solant Amity experience! Cpl. Robert Chichester. 21Nov15: Ed Hart's "USS Hooligan" docked in the Sneads Ferry area. Jack Baker (left) and I met with Ed (right) for the first time in five decades!!! It was amazing how much we recalled and spoke of about G/2/6, Solant Amity, our many deployments to Vieques and more. EJ is headed South today. We look forward to his return... whenever it might be. What a great visit! 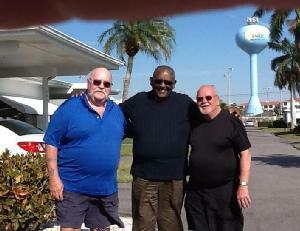 Semi-annual meeting of the Four Musketeers was held at my Venice, Fl home: myself, Otis Jones and Stan Morris being present. Absent but accounted for was was 1st Platoon's Jose Balboza (Plt 220-59) who had urgent family matters to attend to. We're all still going strong. Semper fi to all. Return to Home page. View the biographies of the 2nd Platoon; 3rd Platoon ; Weapons Platoon or Headquarters and H&S Personnel; Anecdotes... both literal and photographic or a tribute to the Marines on the Hermitage.